Saving Grace in Uganda is a non-profit organization that seeks to end street life in uganda. We seek to follow Christ’s example in feeding, clothing and discipling the least of the least in northern Uganda. We provide hope and stability to street children, who do not have anyone to care for them and are in desperate situations. Local Ugandans and American volunteers work together as a team to rescue orphaned children out of the atrocity that is street life and provide them with a home, education, medical care, advocacy and most importantly, God’s healing love. These children who once had no hope are now thriving with hopeful futures. Whole communities are being changed as street children who once had to steal to eat are now becoming contributing members of their society. There are over 100 million street children living in the world today. We are trying to make that number a little smaller. We welcome you to join us. Uganda is home to 10,000 street children. 300 people die of AIDS in Uganda every single day. There are 16 new kids coming to Uganda's streets every day. 56% of Uganda's population is under age 18. 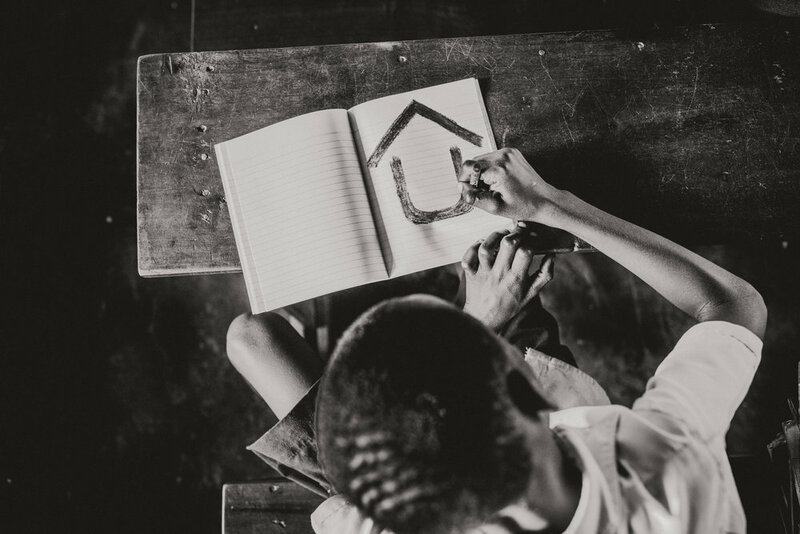 Although many orphanages exist in Uganda, very few are willing to help street children, who are viewed as beyond help because of the severity of their life circumstances. We realized these children are dying daily because no one is caring for their most basic needs. These children have struggled through the horrors of starvation, sexual and physical abuse, unlawful arrests, and addiction, left without an advocate or protector. Saving Grace in Uganda has helped over 1000 street children and through the Saving Grace Children's Village over 70 street children have been adopted and given a new life, a home, and a restored future. We invite you to be a part of impacting the lives of street children in Uganda! If you have a passion for helping these kids, then we have a place for you. We’d love to hear any ideas you have about how we can grow our organization and reach more people. You can make a difference by simply sharing our website with your friends and family. The more people who know what we’re doing, the more children can be rescued. Whether you want to sponsor a specific child or go on a wild adventure to Uganda with us, you can make a lasting impact.